There’s a new farm on the Farm. Stanford and SLAC National Accelerator Laboratory have launched a new Quantum Fundamentals, ARchitecture and Machines (Q-FARM) initiative to leverage and expand the university’s strengths in quantum science and engineering and to train the field’s next generation of scientists. Q-FARM emerged from Stanford’s long-range planning process as part of a team focused on understanding the natural world. The idea for it originated from faculty across departments who recognized that the university is uniquely positioned to become a leader in the field of quantum research, said Q-FARM deputy director Patrick Hayden, a professor of physics in the School of Humanities and Sciences. First formulated in the early 20th century, quantum mechanics deals with nature at its smallest scales. The theory describes with remarkable precision everything from the interactions between fundamental particles to the nature of chemical bonds and the electrical properties of materials. It even explains the origins of galaxies as tiny quantum ripples in spacetime that were stretched to enormous sizes during the first moments of the universe. Quantum mechanics is also the basis for some of our most transformative and ubiquitous technologies, including transistors and lasers. As influential as the theory has been, it’s poised to be even more impactful in the future. Beginning in the 1990s, quantum mechanics entered a “second wave” of discovery and innovation driven by theoretical and technological advances. On the theoretical front, quantum mechanics merged with computer science, mathematics and other branches of physics to give rise to a new field known as quantum information science (QIS). QIS aims to harness the spookier properties of quantum mechanics – superposition, wave-particle duality, entanglement – to manipulate information. Surprisingly, insights and techniques from QIS are proving useful not only for the design of quantum computers, algorithms and sensors but also for providing powerful new tools for investigating old questions in physics. “I finally feel, after all these years, that I’m at a stage in my life where things are as interesting as the things I missed because I came into physics too late,” said Leonard Susskind, a theoretical physicist at the Stanford Institute for Theoretical Physics. Susskind and Hayden are using quantum information to model black hole interiors and probe the nature of spacetime. Q-FARM will build upon Stanford and SLAC’s strong foundation in quantum science and engineering. The institutions include experts in the field, including Nobel laureate Robert Laughlin, and have played leading roles in a broad range of quantum research, including the discovery and characterization of new quantum materials, the use of quantum sensors to search for dark matter and exploration of the interface between QIS and fundamental physics. Furthermore, SLAC, as a multi-purpose DOE laboratory, brings unique facilities and expertise for QIS research that will complement Q-FARM on many fronts. With many world-leading research groups already established at Stanford, Q-FARM’s role will be to build bridges between them and create a community that can tackle the major emerging challenges in the area. Among Q-FARM’s initial priorities are the creation of postdoctoral and graduate fellowships and organizing research seminars where faculty, students and visiting scholars can present their research. Q-FARM will also focus on developing an educational program for undergraduate and graduate students to bolster the current curriculum. “We already have an excellent collection of classes, but we want to coordinate the program between physics and engineering so that we can better educate our students,” Vuckovic said. 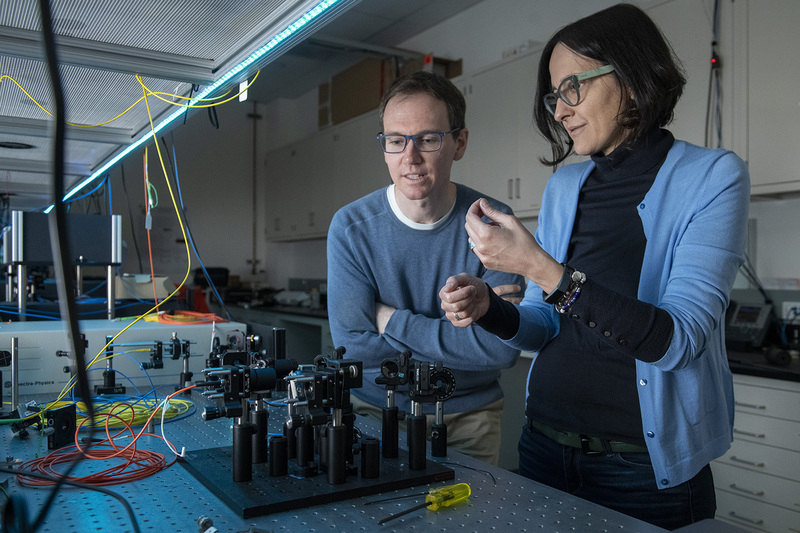 Demonstrating a united front on the research end will also help with faculty and student recruitment in an increasingly competitive field and attract some of the significant government funding that will target quantum research. In 2018, the U.S. Senate unanimously passed the National Quantum Initiative, which authorizes $1.275 billion to be spent over the next five years to fund American quantum information science research and to create multiple centers dedicated to quantum research and education. 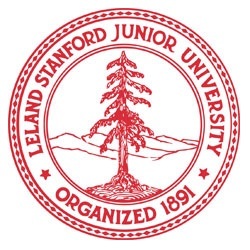 “Bringing one of those centers to Stanford and SLAC will help us maintain the strengths we already possess and establish ourselves more broadly in this field,” Vuckovic said.